"At 02:39 UTC on Monday July 21, 1969, Armstrong opened the hatch, and at 02:51 UTC began his descent to the lunar surface. " 49 years ago today, NASA alleges it landed an two astronauts on the surface of the Moon. 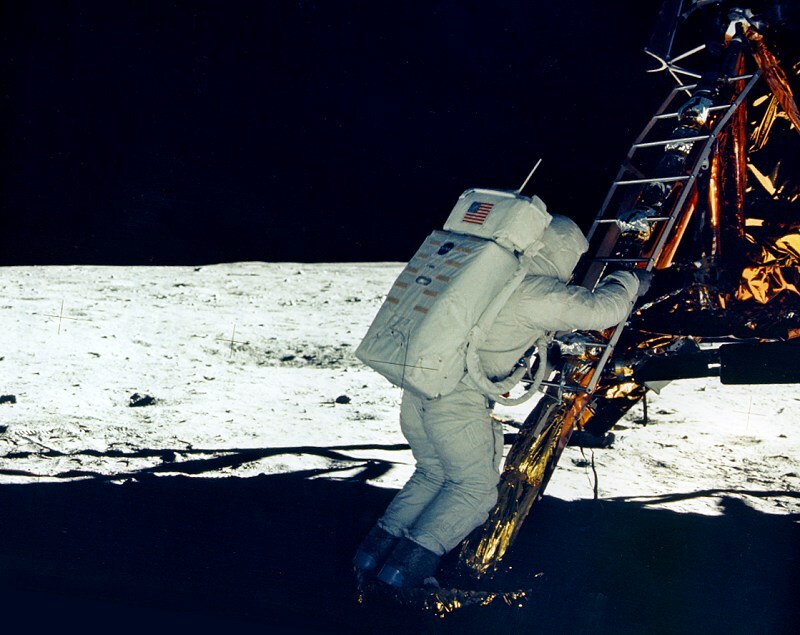 It is further alleged that 6 more manned missions to the Moon's surface were attempted, over the next 3 and a half years, with 5 being successful (12, 14, 15, 16, 17). Since December 1972, there has not been as much as AN ATTEMPT by ANY nation, let alone NASA, to replicate this feat. Mankind's greatest ever achievement, or the biggest hoax ever perpetrated on humanity, a carefully constructed piece of 'positive propaganda', to position America as a military, economic, technological and cultural world leader? 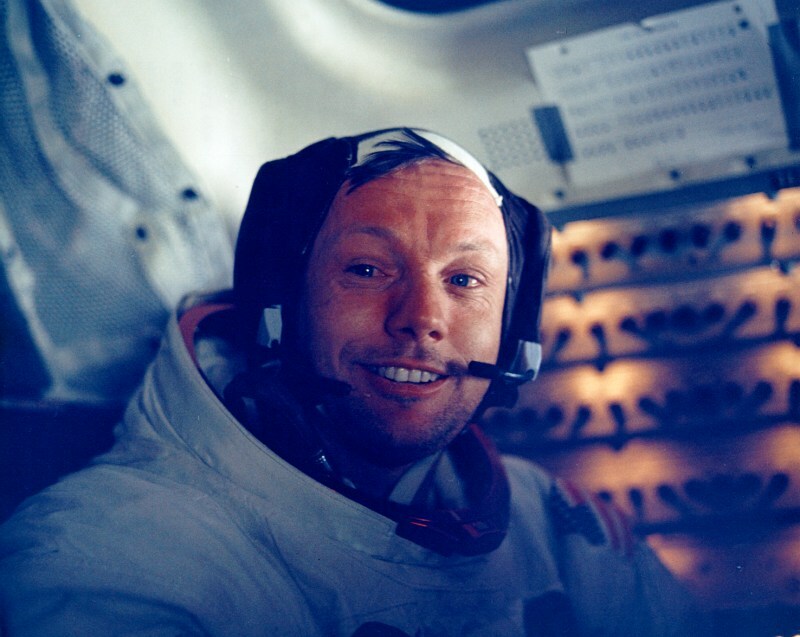 This is the face of a man that walked on the Moon, not someone that was merely hypnotized to believe he had done so, right? I estimate this thread to go beyond 10 pages before we will try to come to any hard conclusions. 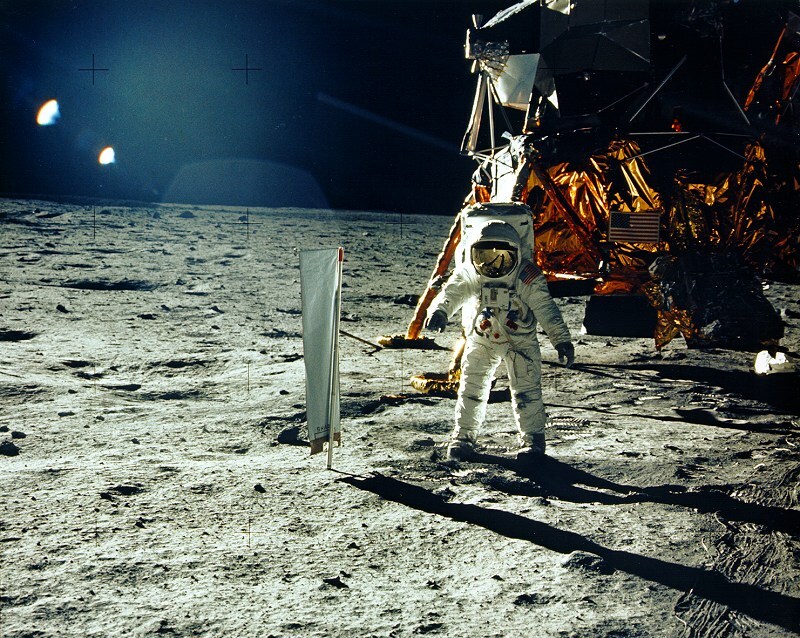 We will also examine the historical and cultural contexts, on the 'manned' Moon landings, as well as if it could have been faked, how, and by who? the moon landing is the only time I've heard scientists say " we ain't going back cuz we seen errr thang!" ridiculous. western men do not think that way. they will keep going back to learn more and more. it's the way of the western nerd. EY is so right about this. If the Moon Landing were legit, you'd expect more resources poured into space projects, and we'd have a colony on the Moon 50 years later. Did Western Countries decide to stop researching the Arctic, because you know, Admiral Byrd did his thing? It's all just ice anyway, nothing to see here. No, they conquered it, militarized it, and built permanent research stations on it. sure it happened close to 50 years ago, but imagine if proof came out about fake or mangled landings? US would lose ALL CREDIT on the world stage. it would be embarrassing as hell. everywhere you go, you have to hear "you lied to us about the moon landing"
this is all I do. just show this one vid. most younger people insist that it's a fake video and not an official nasa release. just imagine if we were to actually land on the moon today in 2018. You are accelerating the process here, EY! This is why there is no convincing the (entirety of) people on the OG. They would give you a page long explanation about how that is exactly how it should look, with early 70s film equipment, broadcast from the Moon, etc etc. But suffice to say, with the ability to post pictures and videos, in addition to text, we will take apart the Apollo (TV) Program bit by bit here over the coming weeks. I don't know if we have any engineers among us here on ey.com but did you know that the ascent engine on the Lunar Lander was un-gimballed, and un-throttleable???? That means it could only point straight down and could only go FULL POWER. I don't even know if they could shut it off and back on (which would mimic primitive throttling capability). Suffice to say, if you tried a lunar rendezvous with such an engine EVEN in Kerbal Space Program, you would still be in lunar orbit today (if you were lucky). also simple question.. how did the batteries power the AC in +/- 270 degree heat for 3 days? why did China use a low quality onboard cam for their robotic moon landing? They are telling my parents generation: "It has been 49 years and not one of the 40,000 employees who worked on the project has blown the whistle yet, so it is obviously real." I did point my parents toward a quote where those in ground control explicitly say it was NOT possible for them to distinguish between the simulations they performed and 'the real thing'. They also said "why can't they go then?" You would think the answer to that would be pretty obvious, that it is difficult to do successfully, but they want a simple answer. I think it is because they want to return the astronauts alive! I mean, when is the last time they sent as much as a monkey on a lunar rendezvous? They send up tortoises and different kinds of worms because they handle radiation TOTALLY differently than mammals in general, and humans in particular. people definitely talk about this among themselves. I once met a kid whose dad worked on the apollo missions and he told me his dad was pissed about them faking it. not sure if the kid was lying about his dad, but that's what he told me. it's true you can't keep a secret , but for sure you can keep the controlled MSM from reporting on things. also people know what the power is, and they don't want to rock the boat.